Mizz B’z is located in the heart of the Sydney’s CBD but is tucked away beneath an office block in a small shopping centre. Despite the slightly imperfect location, it’s clear as soon as you step through the door that this restaurant has big ideas. The contemporary L-shaped dining room is furnished with dark wood and the lighting is kept atmospherically low. 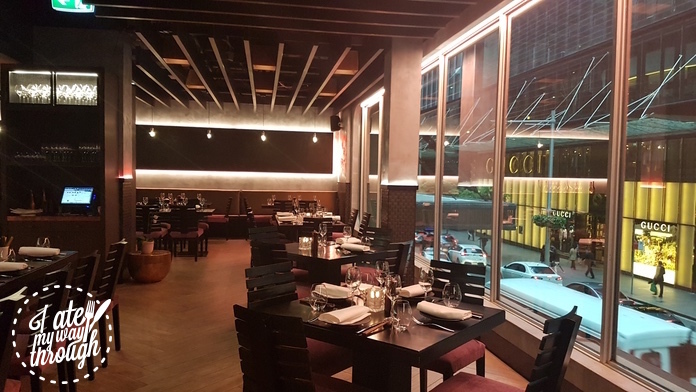 Restaurant Manager Fabio Fontes showed us to our table by the tinted window overlooking the luxury boutiques of Castlereagh Street and we began our perusal of the menu. 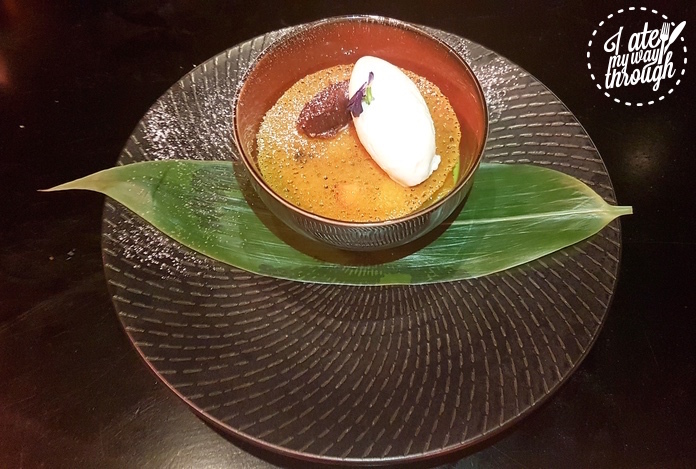 Head Chef Masahiko Yomoda has worked across the globe including a stint with Joel Robuchon in a three Michelin restaurant and examples of both Japanese and French influences can be found across the menu. We sipped on cocktails whilst we flicked through the menu. 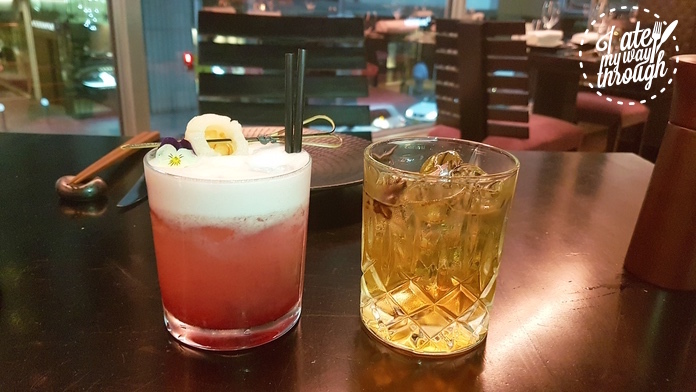 For the lady, Dragon Den was a mixture of vodka, lychee liqueur, egg white, lemon and cherry sorbet; for the gentleman was something more masculine as Japanese sake, vodka, umeshu, and ginger. It couldn’t be a better way to kick off the evening. The wine list was extensive to say the least. 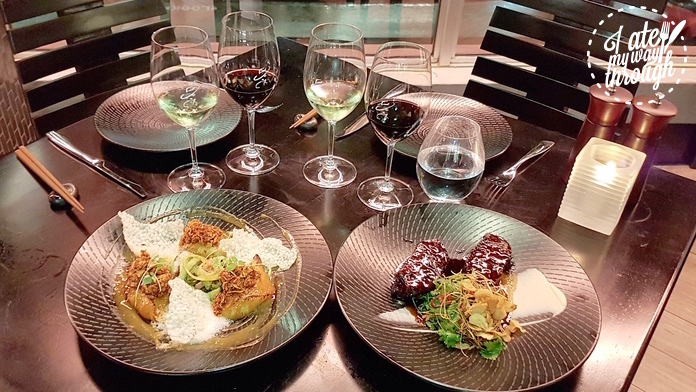 Fortunately help was at hand in the form of Stano – consultant sommelier formerly of Marque, Bennelong and the Bridge Room – who was able to make some fine recommendations, expertly matched to our dishes. We opted for the Kingfish and Snapper Ceviche ($21), Yukhoe Beef Tartare ($23) and Avocado and Crab ($21) as entrees. 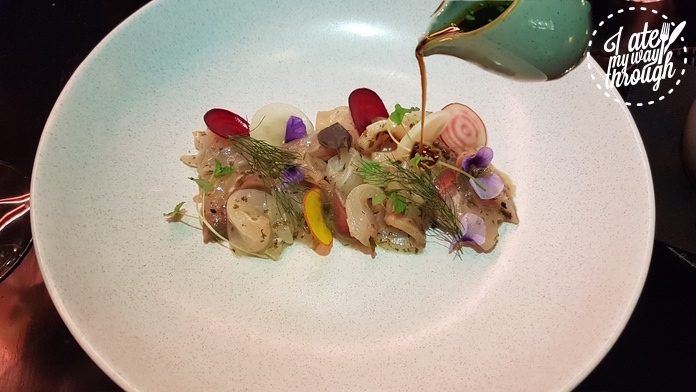 An Eden Valley Riesling was recommended to pair with the seafood as the high acidity served to cleanse the palate as well as compliment the delicate flavours of the ceviche. 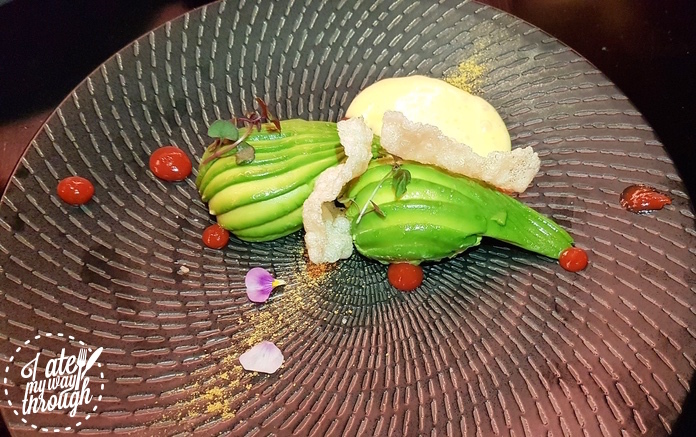 The real standout from our selection of starters was the Avocado and Crab – the meat was diced and stuffed into the soft avocado with a Yuzu Miso Hollondaise sauce bringing all the flavours together. The mains were no less enticing than the starters. 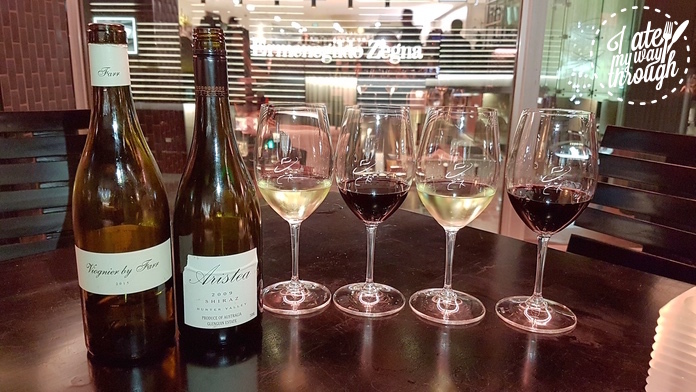 Large, butterflied and grilled Yamba Bay Prawns ($29) were well matched with a Mornington Peninsular Chardonnay which didn’t feature the strong buttery tones the grape is famous for. 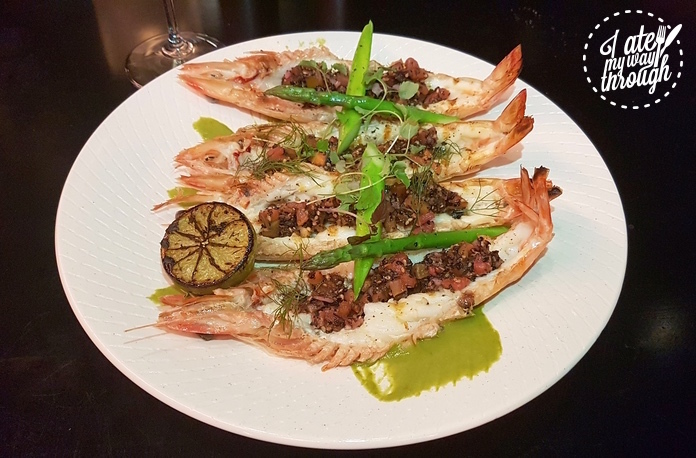 For the uninitiated, Yamba Bay prawns are unlike anything you will find in a supermarket – three times the size and with a much sweeter and dense meat, a must have for any shell-fish afficiando. Beef Cheek ($37) was cooked pink in the middle and served with a cauliflower puree to cut through some of the intensity of the meat. Stano matched it with a Hunter Valley Shiraz, not a variety common to the region but was full of plummy notes and medium tannin. 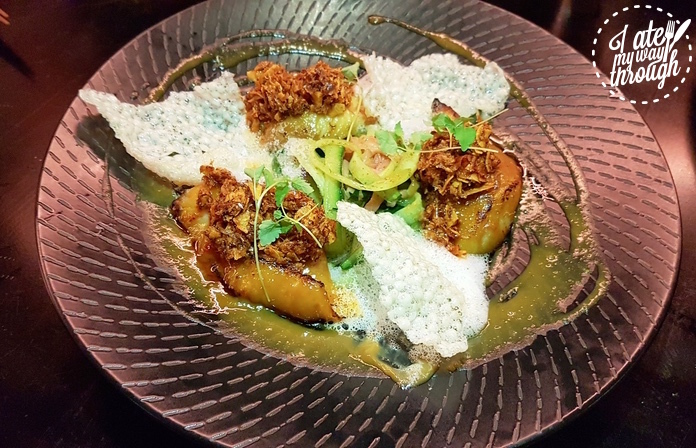 Similarly enticing was the Miso Cod ($38); often restaurants allow the fish and miso to speak for themselves but the Mizz B’z version had an XO crust which added deeper and richer Asian flavours. We had just about saved enough room for dessert and they both looked too good to resist. The Chocolate & Mascarpone mousse ($17) came with an added piece of theatre when the waiter poured dry ice over the dish. The sake ice cream was like nothing we have tasted before and the sourness balanced the rich chocolate. 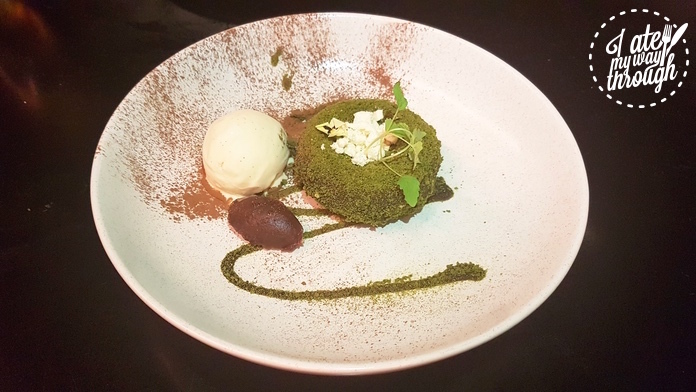 The dish was completed with a dusting of Matcha powder adding both colour and a hint of umami. It wouldn’t be a Japanese meal without a Matcha dessert and Green tea crème brûlée ($17) didn’t disappoint. The creamy filling also contained a berry compote which wasn’t typically found in the traditional dish but the sharpness helped to cut through the rich dessert. 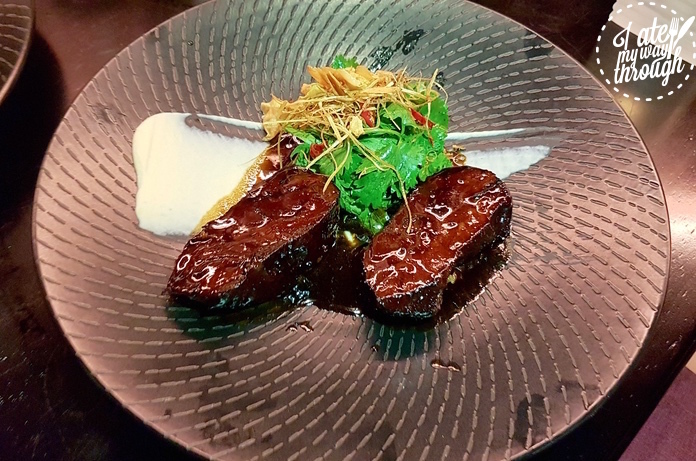 Staying true to the real essence of Asian fusion cuisine, Mizz B’z embodies an uncompromising style that has been perfected to reflect dishes that fuse the diverse aromatic flavours of Asian cooking with contemporary cuisine. 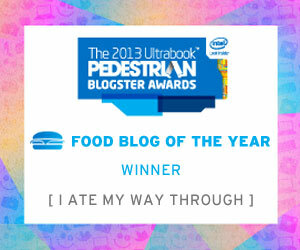 With food of this quality on offer, there is no excuse for not seeking it out.